After deciding to skip out on the Cho-la pass and Everest Base Camp, our week of hard work was then followed by a week of relaxation in the mountains. We were now coming down and although we still feel a little ill, we are feeling more relaxed and happy during the treks. But even though descending was easier on the lungs, it was still not an easy trek at all, as I rolled my ankle 6 times coming down hill. However, I was lucky enough not to have rolled it completely over and twist it, that would be disaster. We backtracked through Machermo then down to Dole for a 6 hour trek that seemed like a breeze. An easier day brought us 3 hours across the river to Porche before we continued on to Pangboche. Here we finished off our bottle of whiskey and had a great time with the owners of the tea house. The next day started off with an easy descend before we needed to climb for 2 hours. But after a week on the stairmasters, this was not a problem at all. When we go to the top of the hill, we arrived in the town of Kjang-Juma and checked into a tea house which was also hosting a group of 30 Ukrainians coming down from an expedition of their own. They were in a festive mood from their successful adventure and they were also celebrating the resurrection of Chirst for easter, so the vodka was flowing nonstop all night and we were right in the middle of it. In a big group like this, there were 3 to 4 guides and 5 to 6 porters, who were carrying all this vodka up before bringing it back down for them to celebrate with. The night was fun and totally unexpected and I learned a new word in Ukrainian: Chaso! Following a vodka filled evening, the next day was the easiest trekking day of them all. 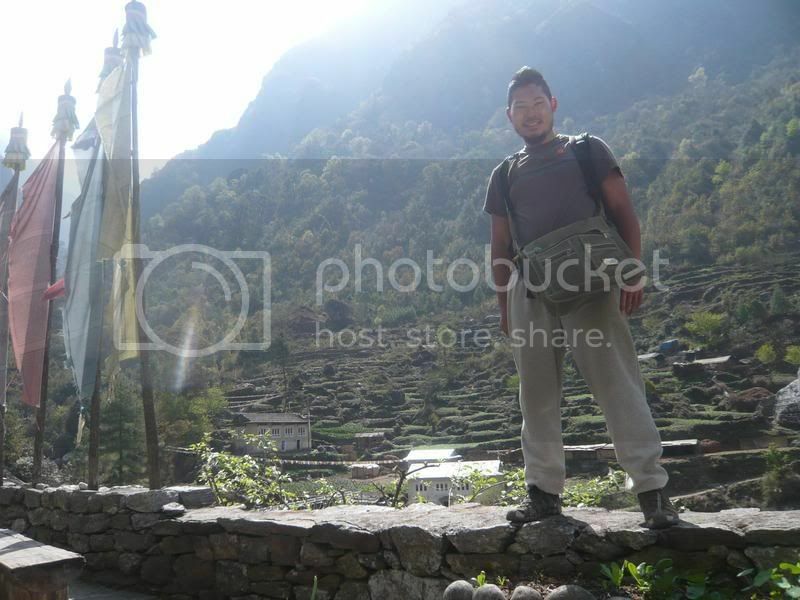 A simple 2 hour stroll on a slight downhill, back towards the town of Namche. Kumor was able to get us a room with electricity and a shower, something that has been foreign to us for some time. Taking full advantage, I washed and showered for the first time in a week, and I felt like a completely different man. Fully cleaned up, we got dirty again walking through the dusty trails down towards Phadking, an easy 4 hour walk. Here we met a Tibetan lady who brought her hand made Tibetan jewelry to sell to tourist, but she didn’t come directly through the mountains in this region because China had closed off the Tibet/Nepal border at this end. 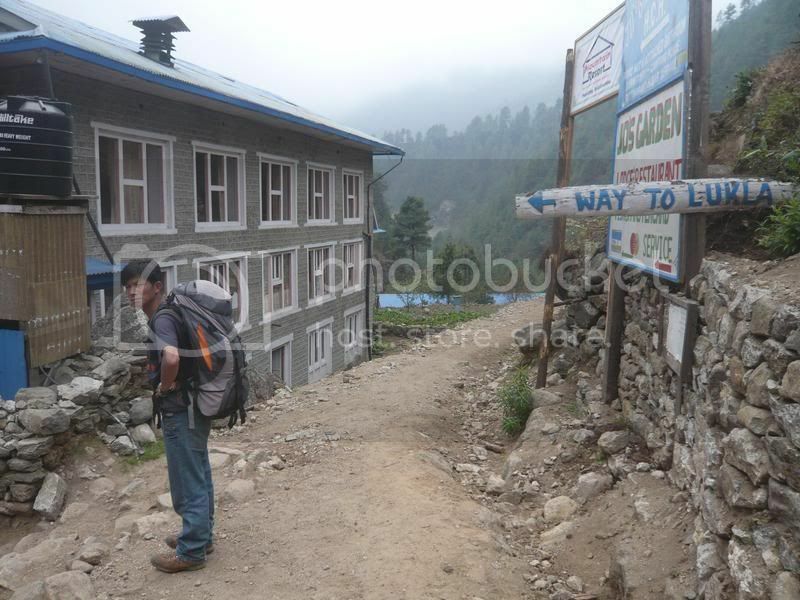 Instead she had to walk all the way around through the Jomson area our west then across Nepal and then up from Jiri. 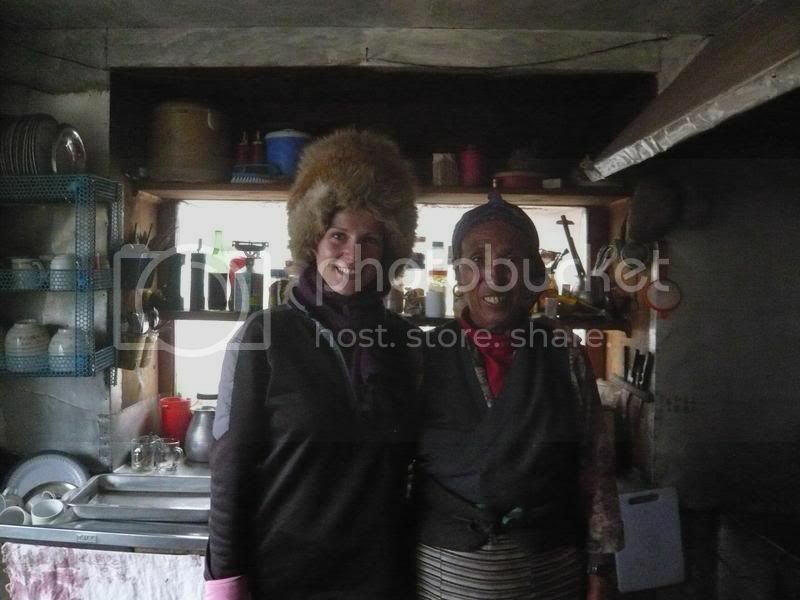 She had walked for 2 months to get here, so we happily gave her some business obtaining some Tibetan stones. Our final trek was back down the hill and then up to Lukla, where we had a night out at the local Irish bar, playing pool, and having a good time. The weather was not all that great the day before and all the flights were canceled. But on the day we arrived in Lukla, the fog had cleared up and a boat load of flights brought new trekkers. Walking pass these smiling newbies to the mountains, I had just one thought running through my mind, “Just wait till you start going uphill.” With the good weather, we will likely be able to fly out in the morning. We’ve been very lucky with the weather as we have not been delayed once for flights and all of our trekking days have been clear and sunny. 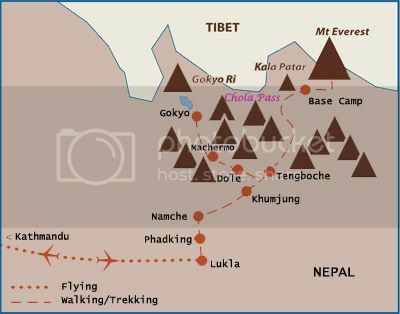 On day 16, we flew back to Kathmandu feeling proud of ourselves and what we have accomplished. Trekking through the Himalayas was definitely a memorable experience with many rewards. Looking back at it all, there are definitely things we could have done better, especially our preparation for it all. We didn’t have too much to carry in our bags, but we did have lots of stuff that were never used and thus making it extra weight. What we didnt have though, was enough clothing for the colder temperatures. If we continued on through the Cho-la pass, we would be trekking in snow for 2 days, and we probably were not ready for that. But regardless of it, this is what makes an adventure fun. The unknown keeps things interesting and forces you to learn and better yourself. All in all, the trip was phenomenal and I would recommend it to anybody. Let me know if you have any questions, I’ll be happy to help out. Movie to come!